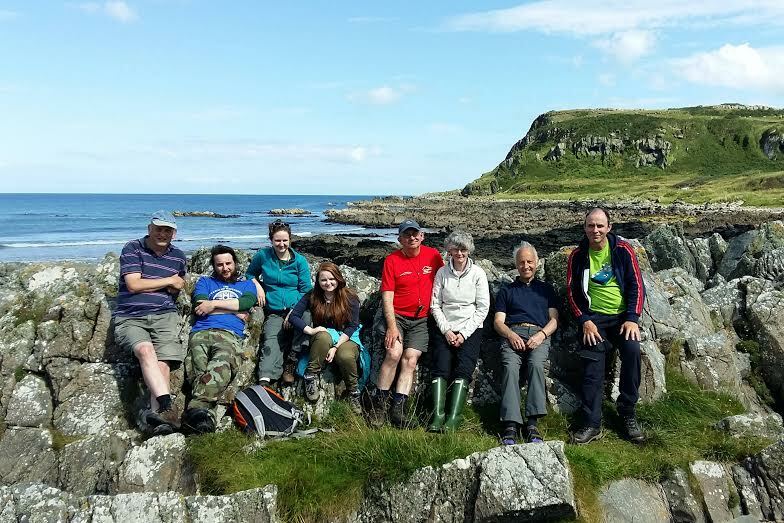 The Botanical Society of Britain and Ireland recently (14-16th August) held an outing in Inishowen, which is part of the East Donegal vice-county (H34). Myself and Mairéad have been recording in East Donegal for just over a year and it’s been a fantastic learning experience. 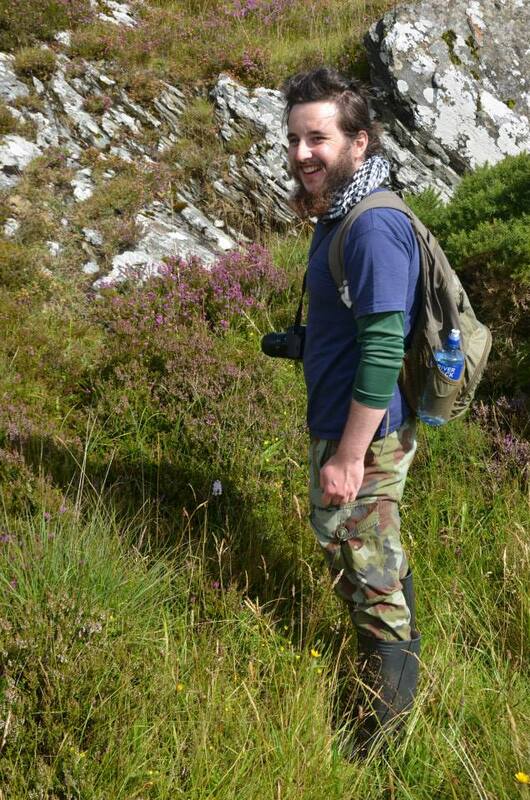 During this weekend West Galway VC recorder and Inishowen native John Conaghan led us to some fantastic spots across the peninsula in order to record for Atlas 2020 and to re-find some rare species. 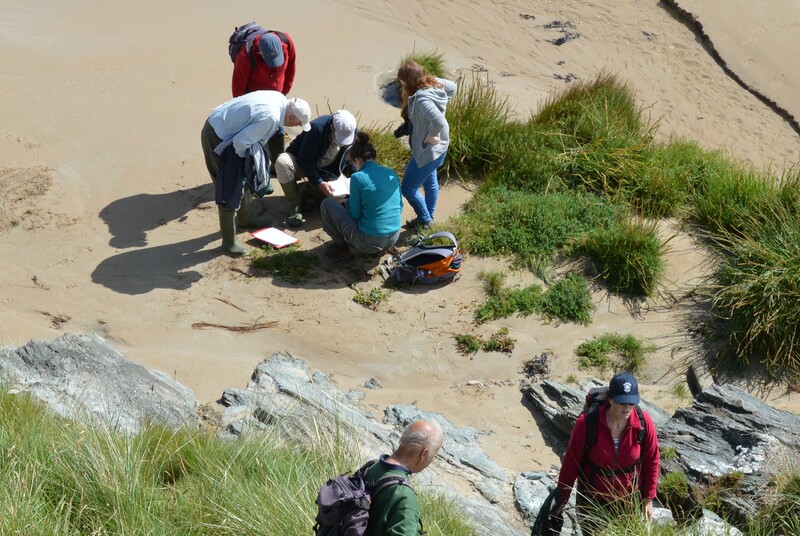 BSBI Inishowen Botanists at Straghill Beach – Oisín Duffy. 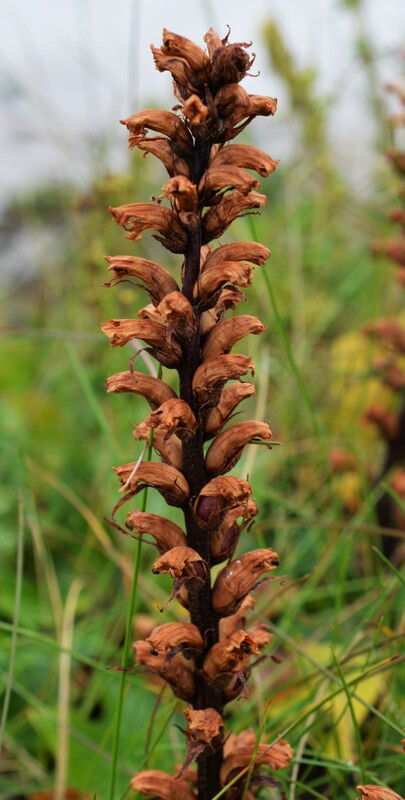 The weekend of recording kicked off at Straghill beach where we came across a lovely site with a few rarities, most noticeably Ivy Broomrape (Orobanche hederae) and Hoary Whitlowgrass (Draba incana), both of which were new to my species list. 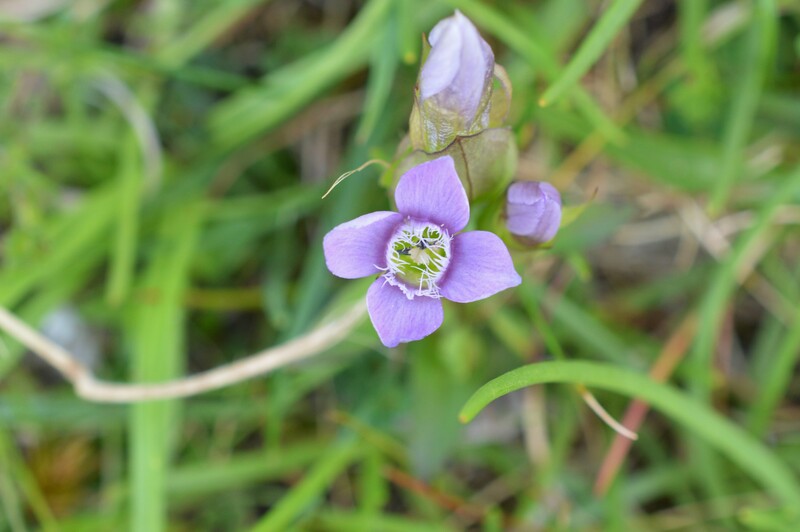 We also came across a lot of the usual suspects, such as Harebell (Campanula rotundifolia), Lady’s Bedstraw (Galium verum) and Fairy Flax (Linum catharticum). 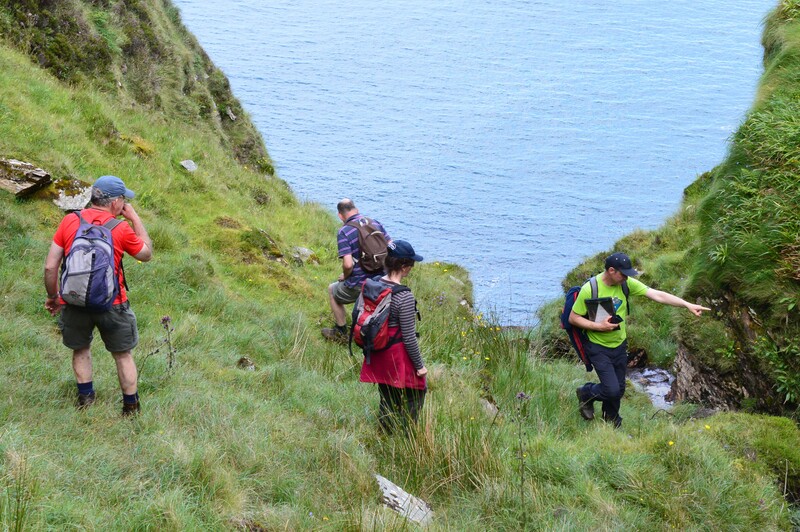 Our next site of the day was Crummies Bay, which was in close proximity to Fort Dunree, which has stunning views of the surrounding landscape. The walk down to the bay was interjected with a host of different butterfly species, while not botanical, it was very nice to finally see a good number of butterflies as their numbers appear to be down this year. 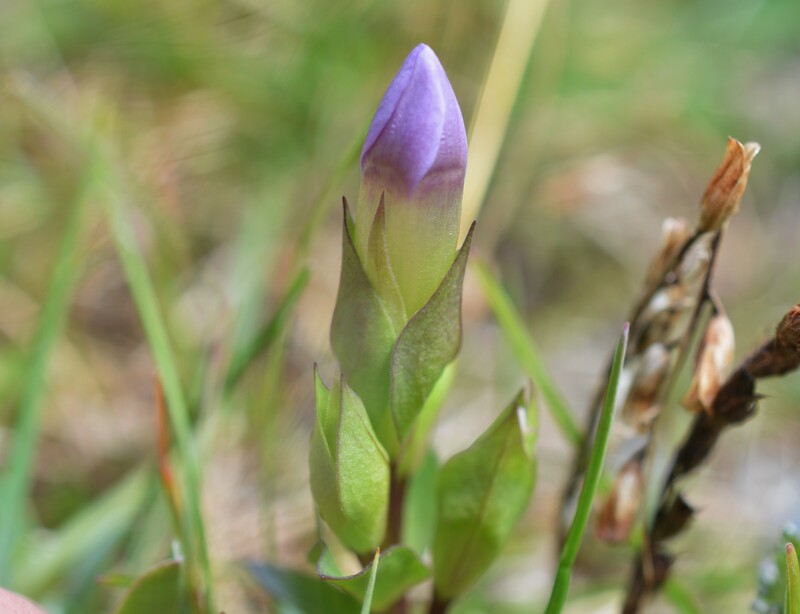 One of the first real noteworthy plants we came across was Field Gentian (Gentianella campestris) and it wasn’t long before a white variation of Wild thyme (Thymus polytrichus) was found (which I found particularly exciting as I do have quite a liking for colour variations and other aberrations). The scenery at this site was fantastic and we had the bay completely to ourselves. 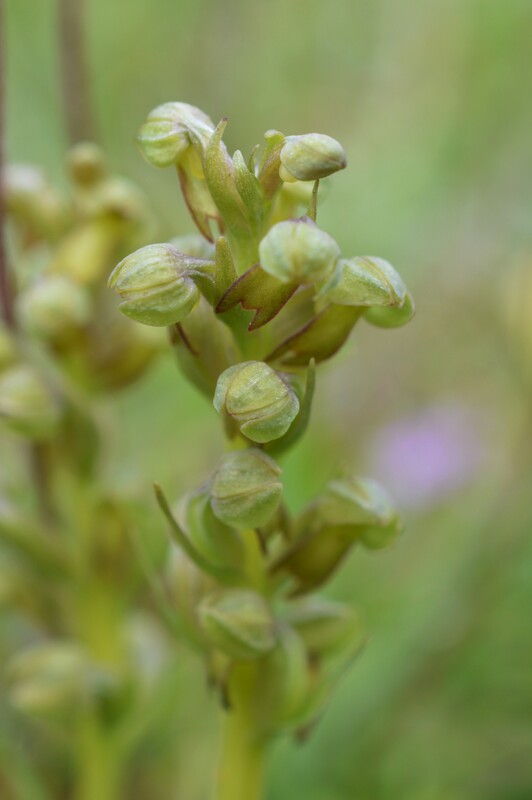 Before leaving the site we also came across a number of Frog Orchids (Dactylorhiza viride) and Fragrant Orchids (Gymnadenia conopsea) which turned out to have all three sub-species. 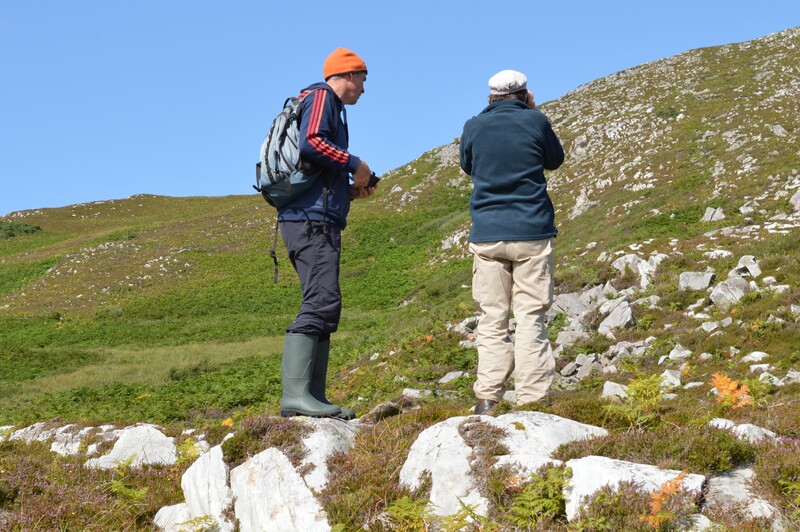 On route to the finishing spot for the day we were shown a real rarity in Donegal, Irish Spurge (Euphorbia hyberna). 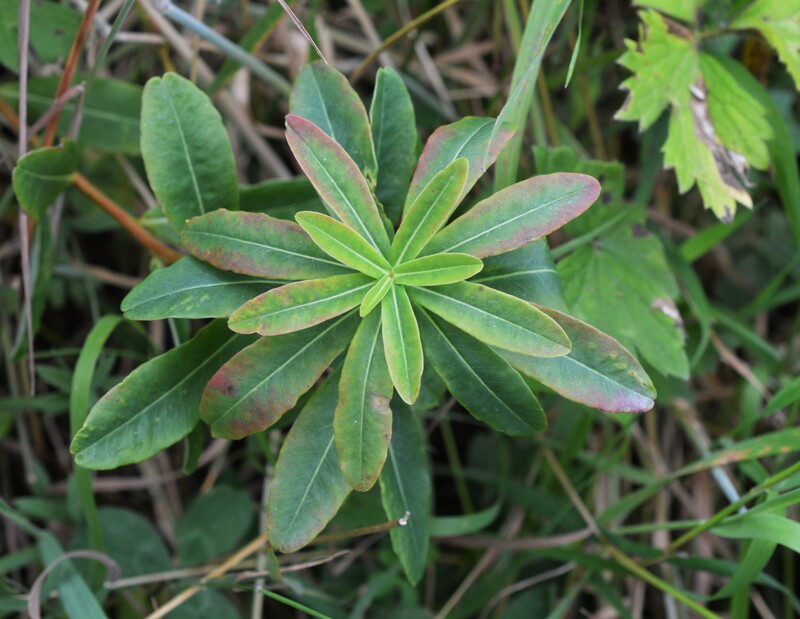 Irish Spurge has a very obvious SW distribution in Ireland (there are a few records in the North of Ireland and one in Galway also) and to find it in East Donegal was a real treat. 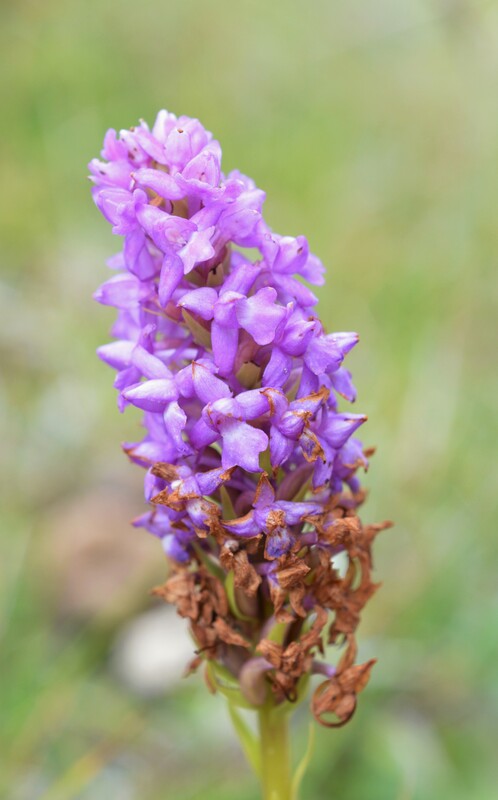 We were quite fortunate to have someone point out the location of the species as it would have been easily missed growing along the roadside. 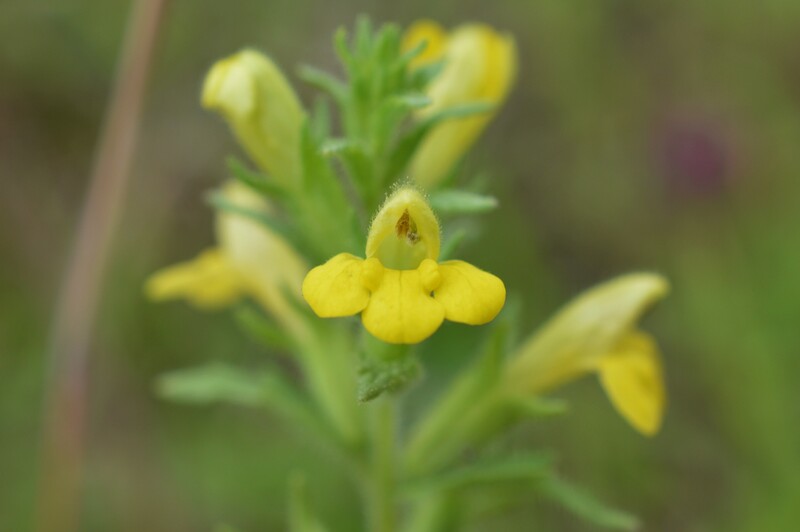 Amazingly though, that wasn’t the end of the nice finds for the day and when we entered a patch of wasteground we came across the very beautiful Yellow Bartsia (Parentucellia viscosa) which is not the most common species in Ireland. 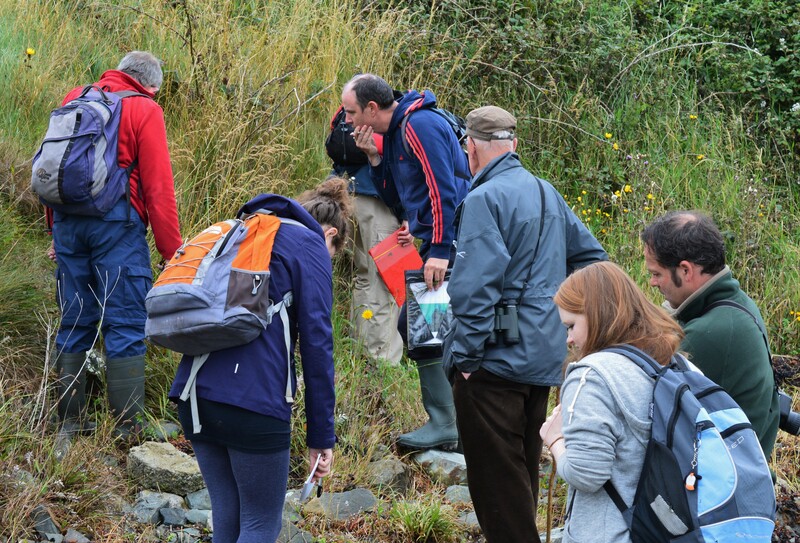 On Saturday with our botanical muscles very much limbered up we headed to Lough Fád (roughly halfway between Buncrana and Carndonagh) a lovely area of lake shore and bog which turned up some orchids and the Isle of Doagh, a beautiful site which was teeming with plant and animal life. 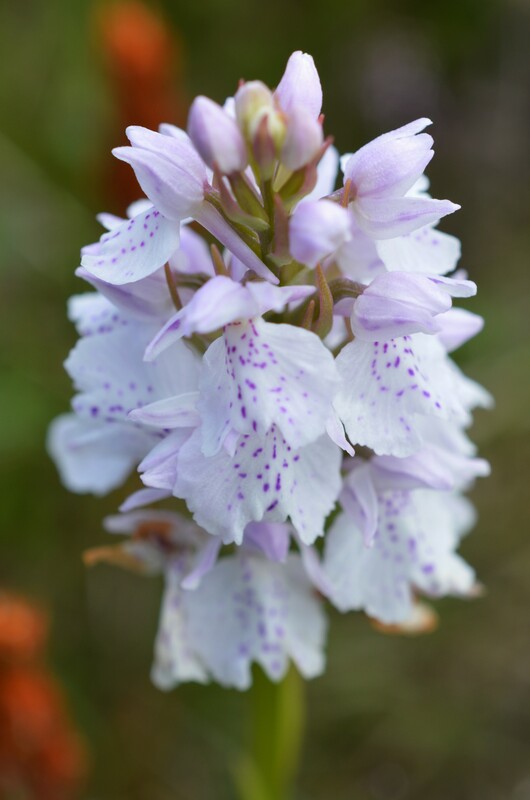 It was very nice to revisit the area of Lough Fád and although we were there a bit later in the year than our previous trip, a few orchids were still on show, most noticeably Common Spotted Orchid (Dactylorhiza fuchsii) Heath Spotted Orchid (Dactylorhiza maculata) Northern Marsh Orchid (Dactylorhiza purpurella) and Dactylorhiza purpurella x maculata. 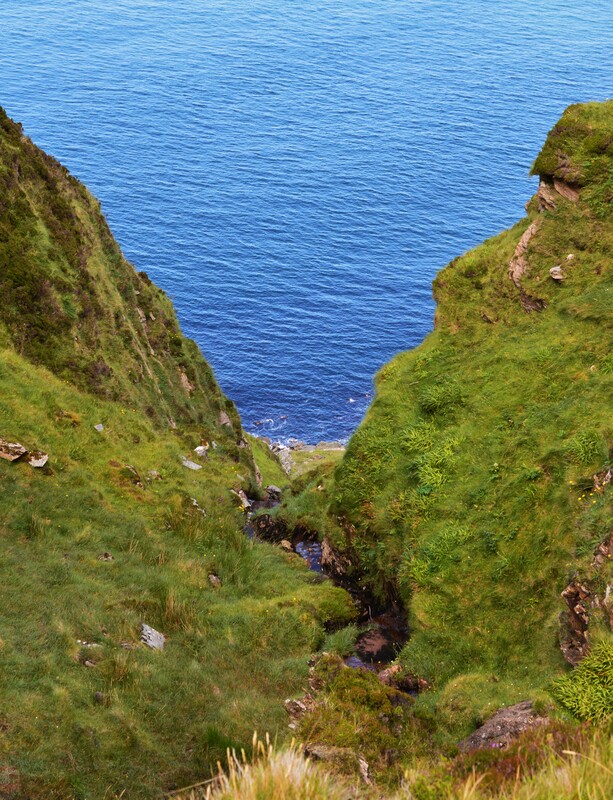 The Isle of Doagh proved to be a wonderful site and even before we had left the car park we had a card filled. 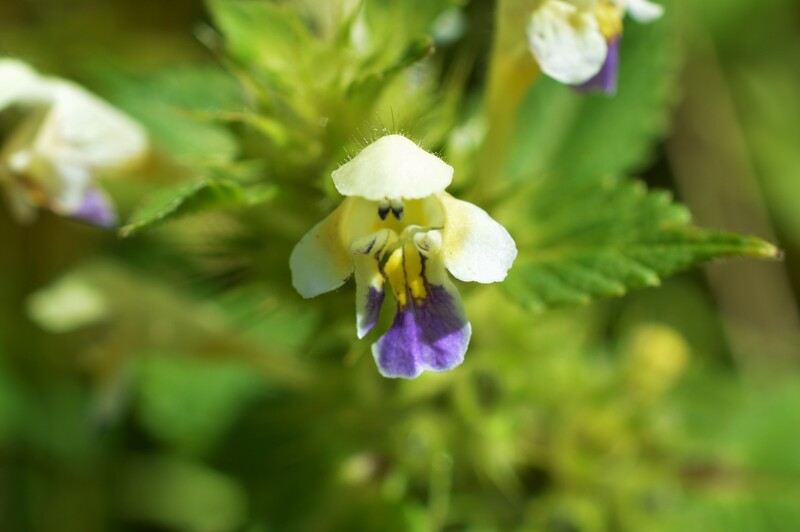 The nicest find in this location was Large-flowered Hemp-Nettle (Galeopsis speciose) a plant which was new to my species listing, but one I’ll certainly be keep an eye out for in the future as it is extremely distinctive. That wasn’t the end of species which were new to my list as soon after we found Sea Fern-Grass (Catapodium marinum) a beautiful little species. Moving onwards we found Sea Aster (Aster tripolium) and this amazing Juniper (Juniperus communis) which was laden with berries. 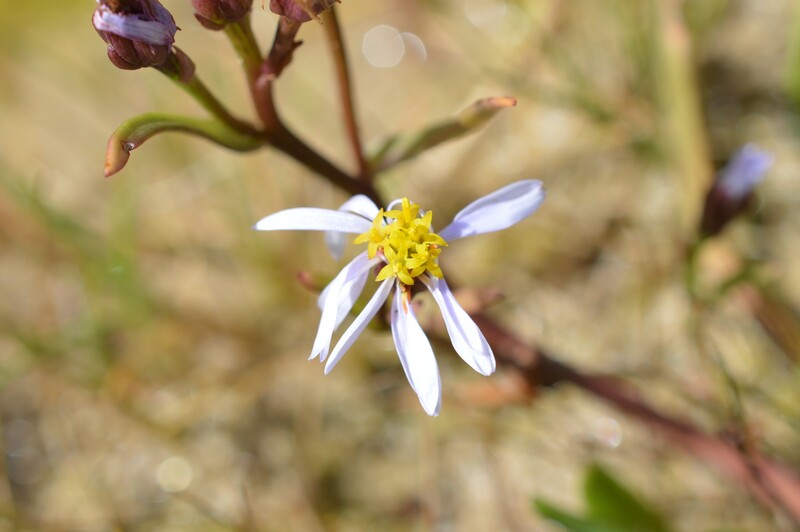 Myself and Mairéad also came across a petal-less form of Ragwort (Senecio jacobaea var. 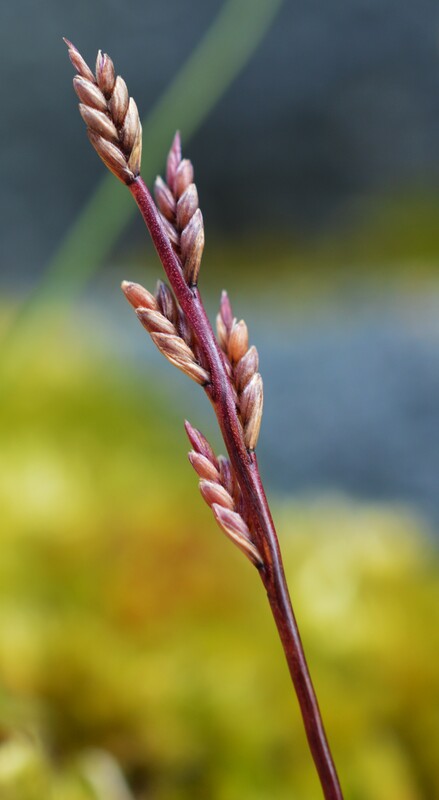 flosculosus) which had been shown to us a few weeks previous in Co. Wexford by BSBI VCR for Wexford/Waterford and BSBI Stalwart Paul Green. On sites as beautiful as the Isle of Doagh, it’s always worth getting to higher ground to truly appreciate the few, which is exactly what I did! 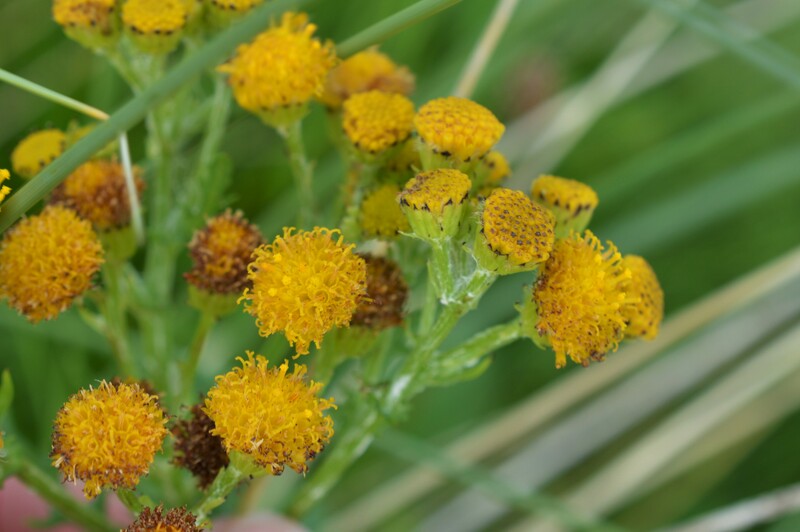 (I don’t know if Rayless Ragwort is used as a common name, but it sure sounds good). 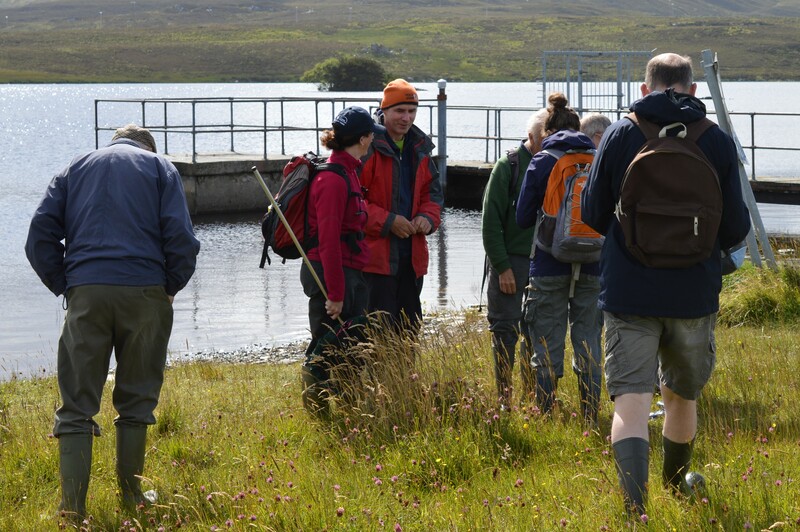 Sunday was the final day of the Field-outing and thankfully the weather was glorious from start to finish. 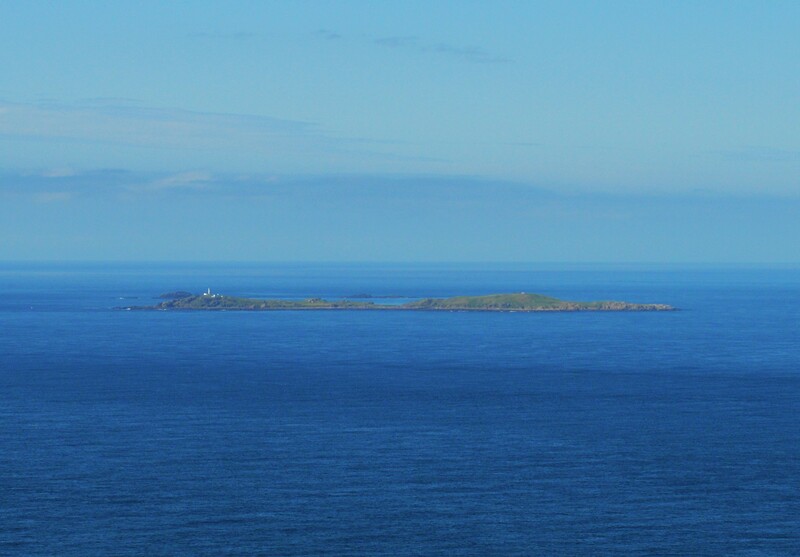 We started at Culdaff a beautiful area with views looking out to Inishtrahull Island (Ireland’s most northern point). 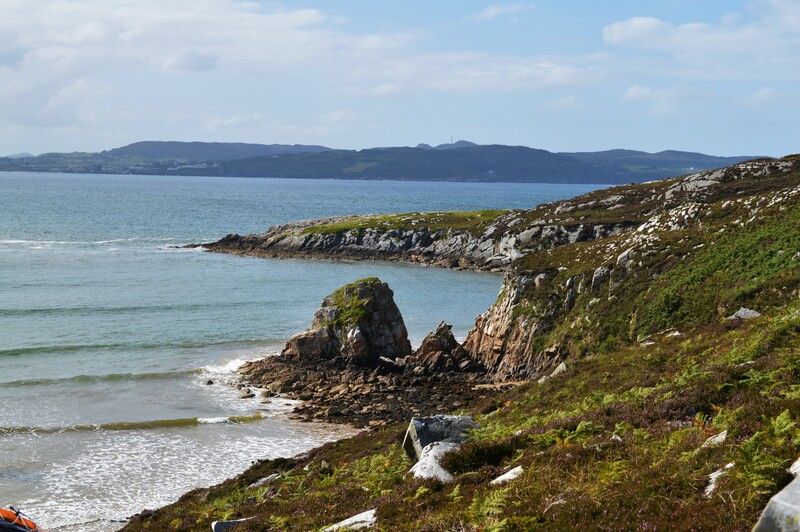 We traversed rocks near the shore line and went up the side of hills but the rarest and best find from Culdaff was easily found. 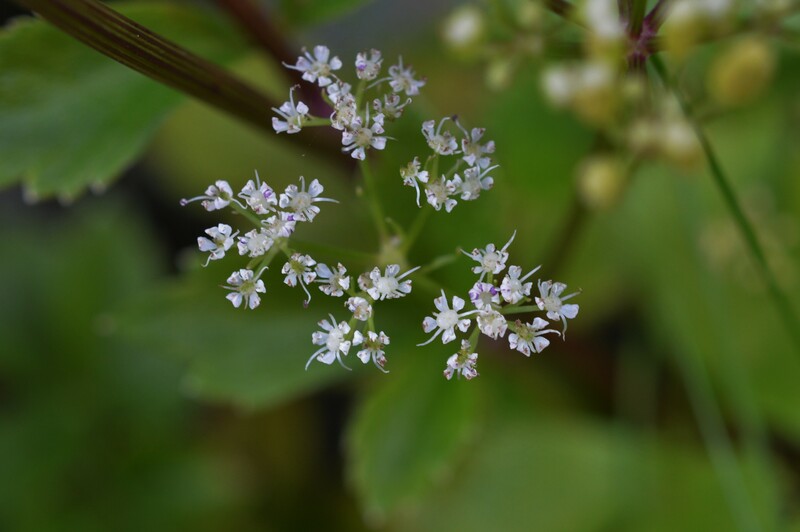 Scot’s Lovage (Ligusticum scoticum) has a very northern distribution in Ireland and doesn’t occur outside of the province of Ulster. 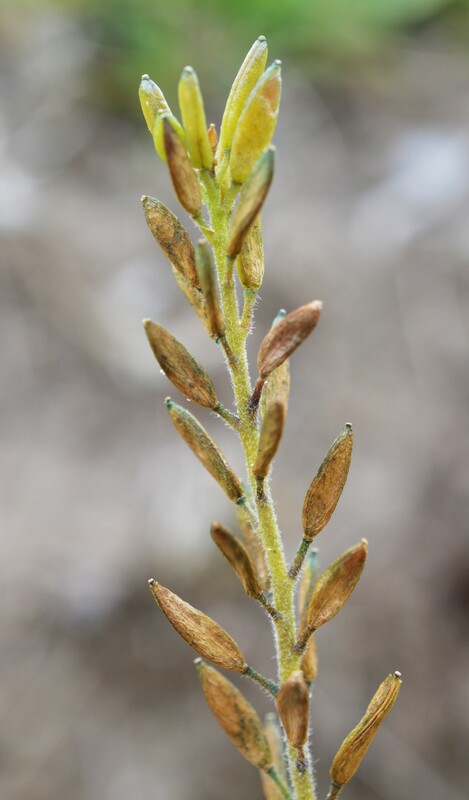 I had been looking forward to seeing this plant for quite a while and thankfully there was still a small amount in flower although the vast majority had gone to seed (it was much more noticeable in this form though). The highlight of the entire weekend was found in Glengad Head, our final recording spot of the day. 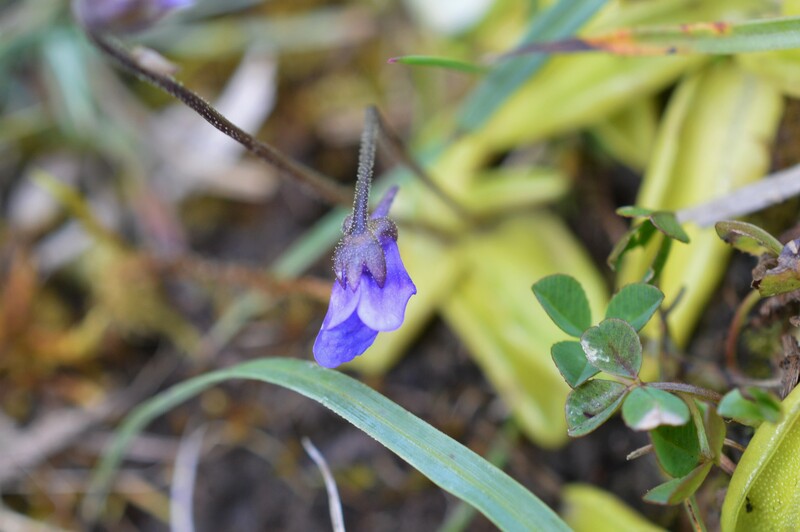 Along our route we came across some nice bog species, in particular Common Butterwort (Pinguicula vulgaris) and Pale Butterwort (Pinguicula lusitanica). 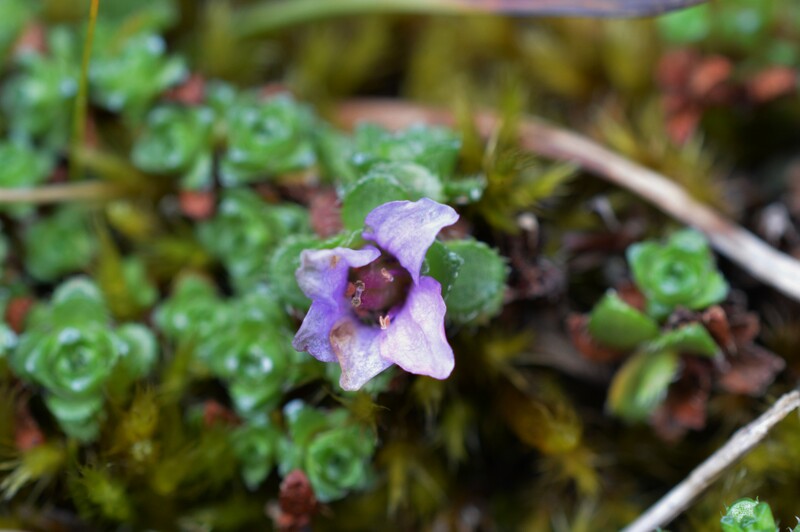 Again Inishtrahull was sitting out in the distance and we eventually came to a gully thanks to John’s previous readings and excellent map work and it didn’t take long Antrim VCR David McNeil to explore and find Purple Saxifrage (Saxifraga oppositifolia). 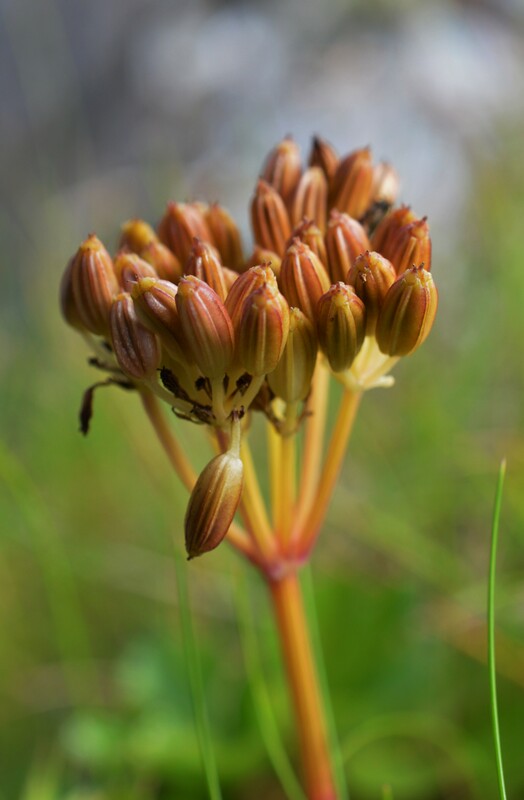 We started noticing it in a few more places and finally found a clump which was amazingly still in flower (and for some, still waiting to flower). 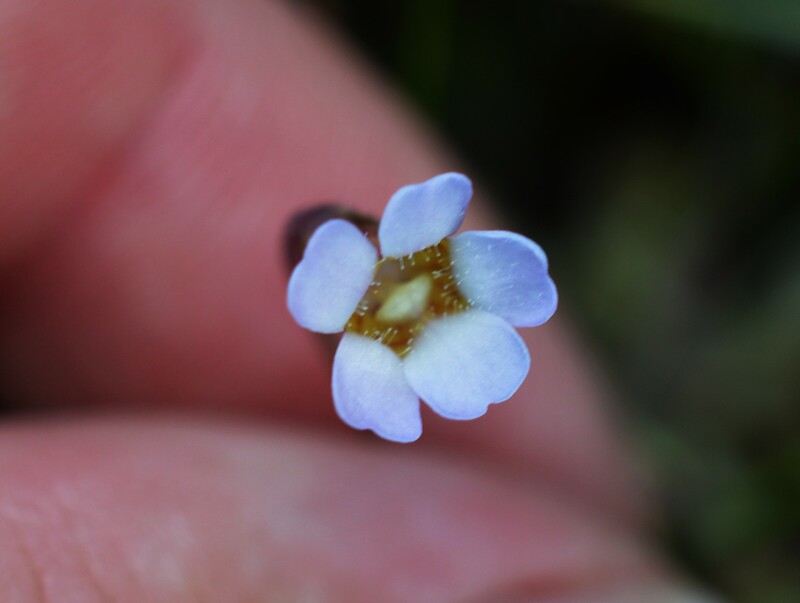 Inishowen already has a well-known site for Purple saxifrage in the form of Bulbin, but this site at Glengad hasn’t had this species recorded in roughly 100 years. This was truly the icing on the cake for entire weekend and it put the importance of botanical recording (or any biological recording really) in perspective. 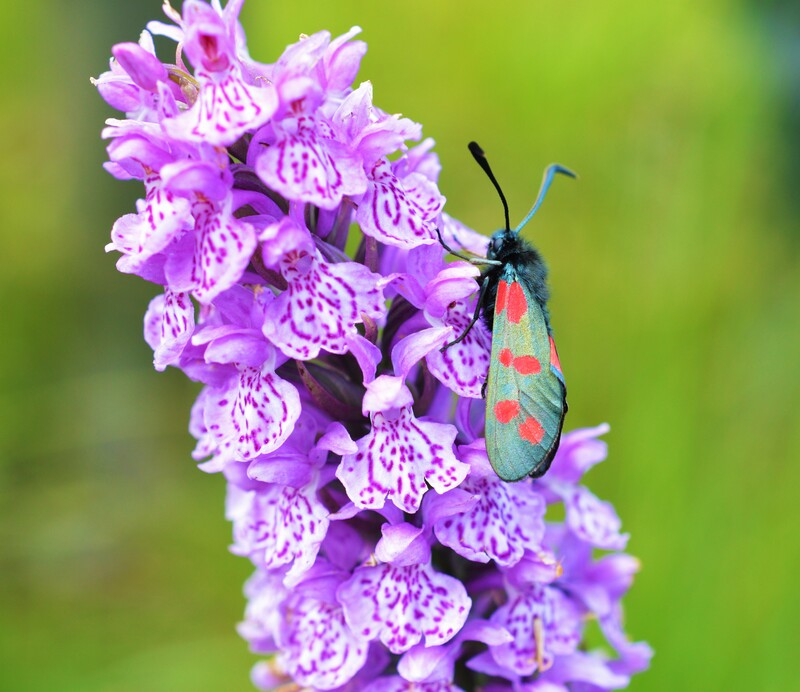 Noting where species are found, the threats they may face, being able to monitor this is all hugely important in a world where the pressures of the modern world are hitting the environment hard. 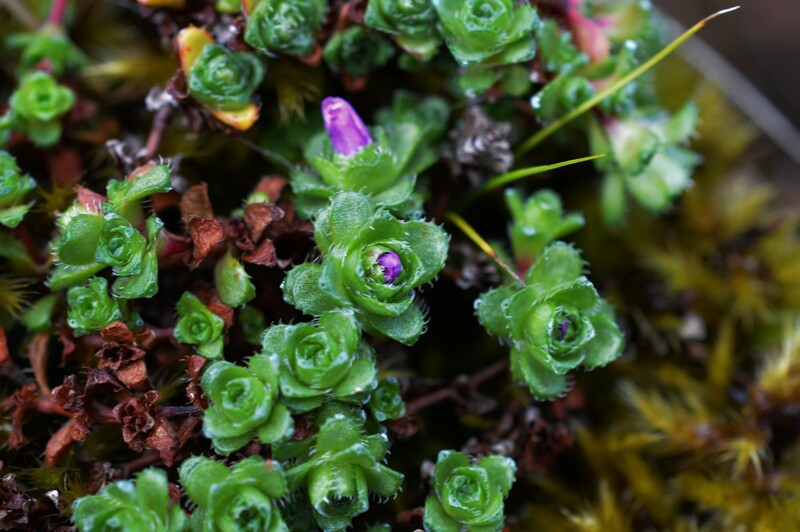 After such spectacular plants, people and scenery I can promise you that Purple Saxifrage at Glengad Head won’t have to wait another hundred years for the next botanists to show up. Now all that’s left to do is put in the +900 records into MapMate and I think everyone can agree, that’s where the real fun begins!